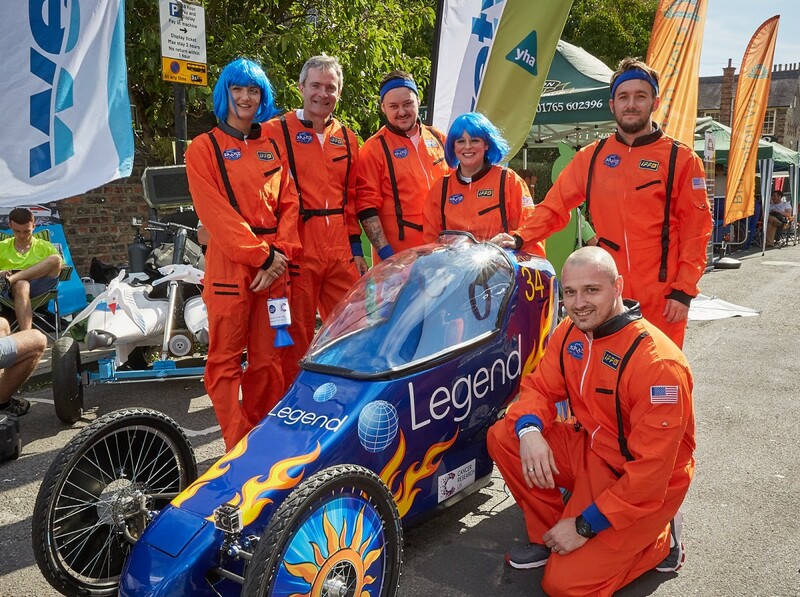 Our team of six brave and motivated Legend colleagues, worked tirelessly in the run-up to the event – constructing, decorating and assembling our Legend Soapbox, Apollo 34. On race day we thrilled audiences both young and old, who lined the pavements of York’s Micklegate. The primary objective was to raise funds for Cancer Research UK. 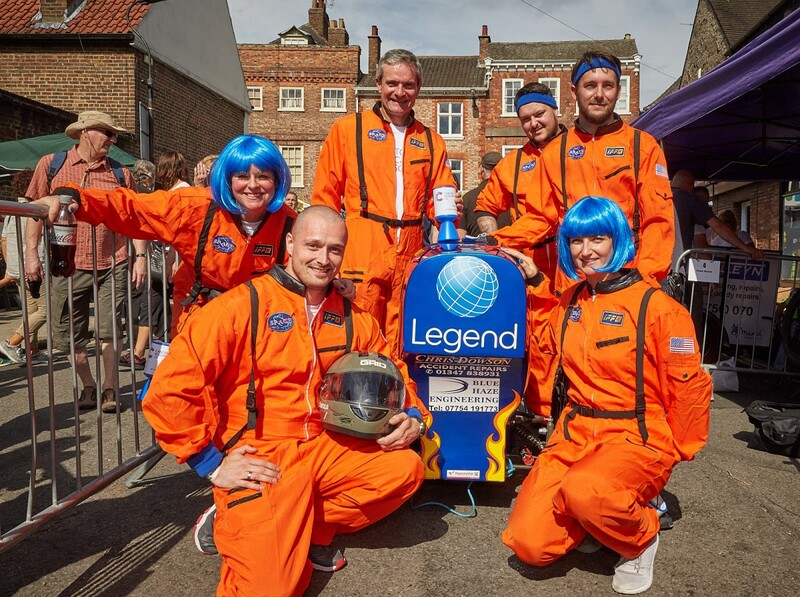 Legend’s secondary objective was to take part in the fabulous community event which is the Micklegate Run, bringing together the people of York and its surrounds in a colourful, charitable, community event. At Legend many of us have been touched by cancer and its consequences. Legend staff wished to support those who tirelessly research to find a cure for cancer and to demonstrate solidarity and support for suffers. Substantial resources were invested in terms of both financial and staff commitment. Apollo 34 began life as a carbon fibre hull moulded in our managing director’s garage. Chris Dowson Accident Repairs and Blue Haze Engineering made her roadworthy, whilst York Plastics moulded her canopy and Signarama delivered her splendid livery. 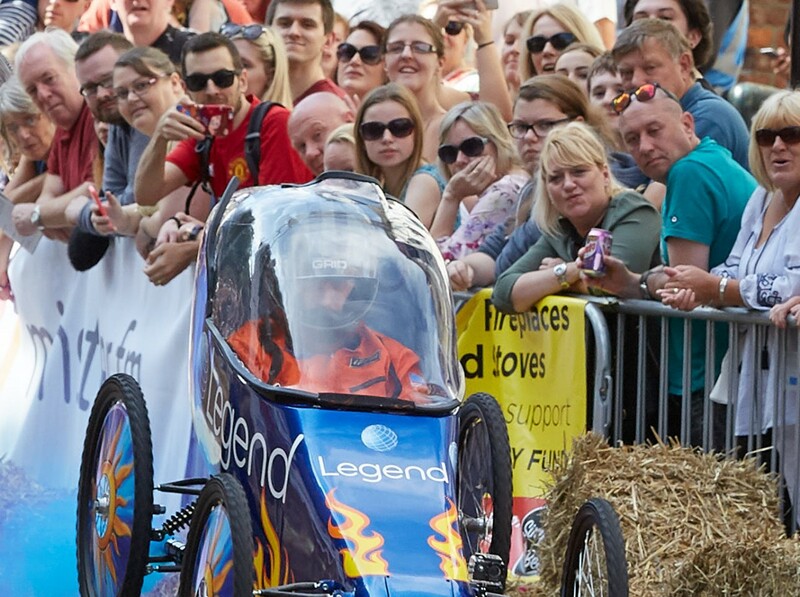 The Legend team worked tirelessly testing, tinkering, publicising and ensuring she was in form on the day. Legend raised hundreds of pounds for Cancer Research UK. The event itself was fantastic community experience and is fast becoming a must visit attraction on the York calendar. Great to see Legend, a core supplier to the health and fitness industry, stepping forward to demonstrate their support for cancer research. This project should help to encourage other suppliers to get involved in a cause that they care deeply about.